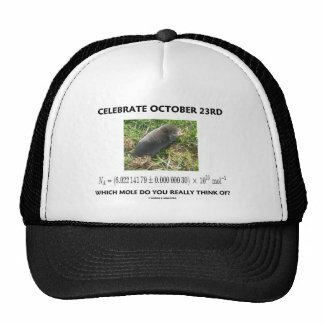 Celebrate October 23rd - Which Mole Do You Really Think Of? 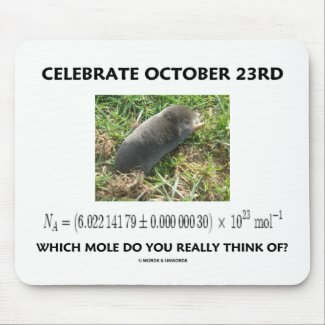 Showcase your wry chemistry sense of humor with any of these gifts featuring the concept of a mole in chemistry, as well as a mole (animal) and the title "Celebrate October 23rd". 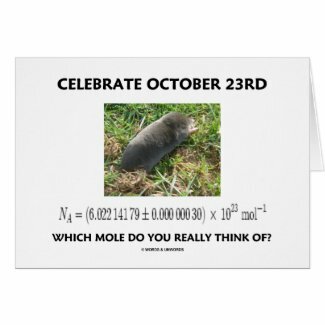 Memorable chemistry attitude gifts for all who celebrate "Mole Day"! 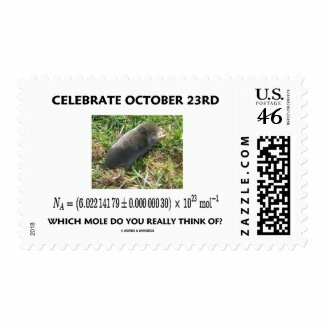 Caption says it all: "Which Mole Do You Really Think Of?" Create your own photo keychains from Zazzle. 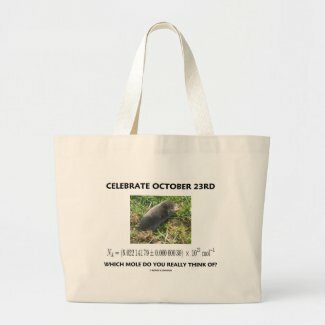 Browse Zazzle for a different cloth napkin. 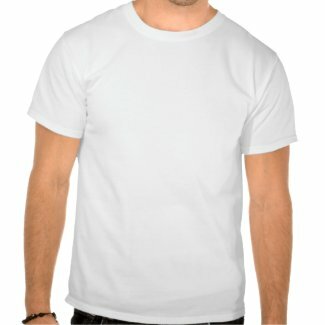 Make personalized postal stamps from Zazzle.